Last Monday, Justin and I, along with a couple of friends, shared a delicious meal in Long Island City, Queens. 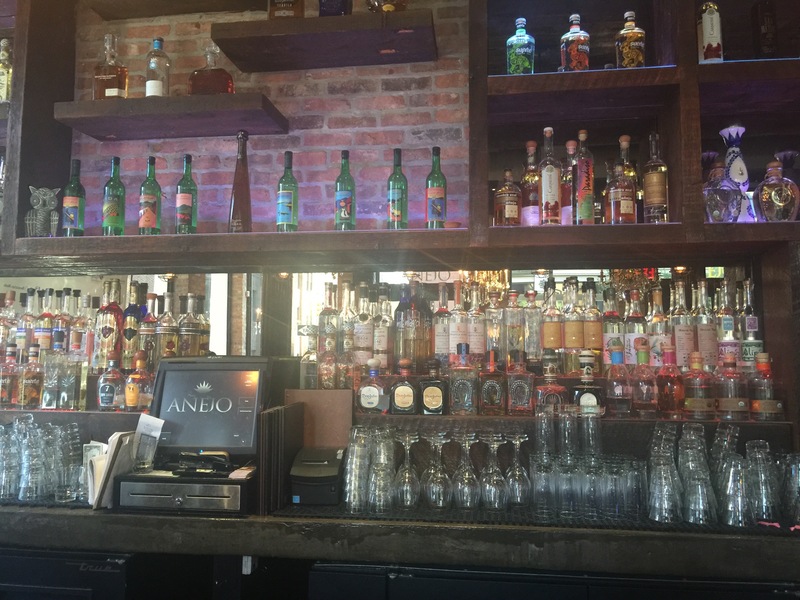 First, I met Justin in the city at Anejo Tibeca. The bar upstairs, where we sat, was nice. The restaurant was preparing for a fundraiser event, but still catered well to all of their guests. I didn’t realize there was a much cooler looking and darker bar downstairs until I went down to use the bathroom – I love a dimly lit rustic feeling space. 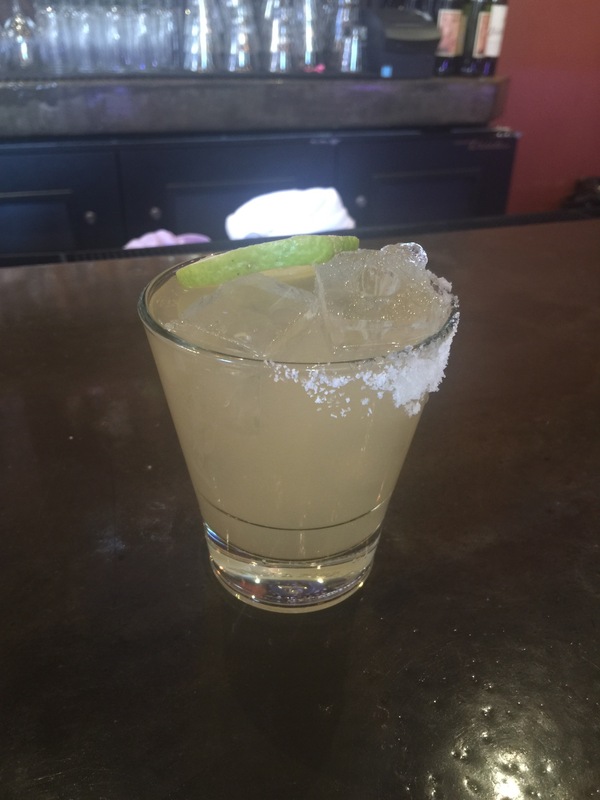 Anyway, the Anejo margarita that I ordered was absolutely delicious and service was fast and friendly. Justin met me for the margarita and we headed to M. Wells Steakhouse, a favorite spot of him and his friends. Being regulars there, I took their lead on what to order. 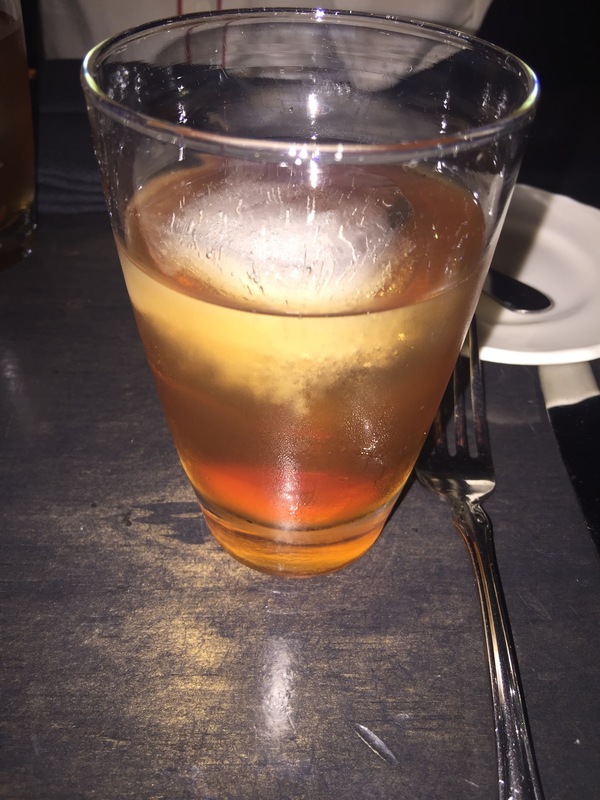 To drink, I went with a classic old fashioned, which was very good. The pretzel rolls they brought out were delicious, and quickly replenished when we devoured the first bagful in seconds. Then the food started coming out. 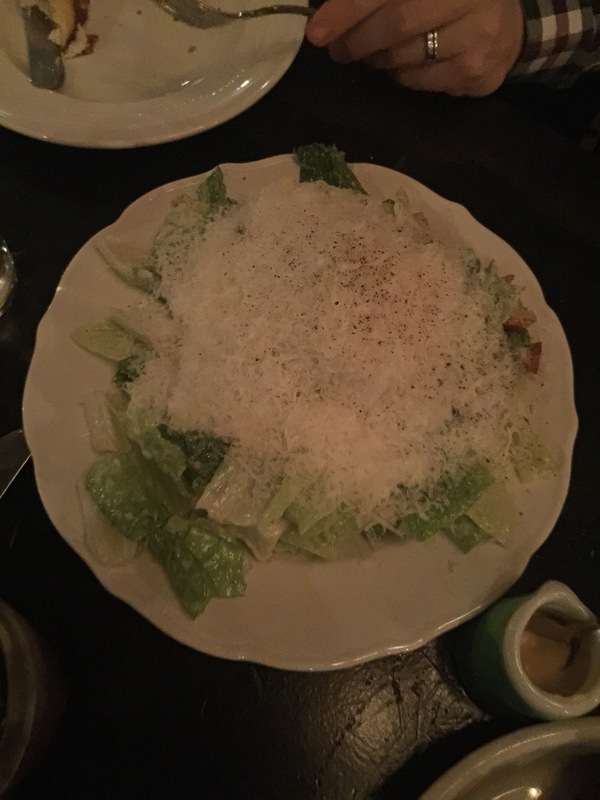 First the M. Wells Ceasar, which resembled a snow ball, but was so amazingly cheesey and good. 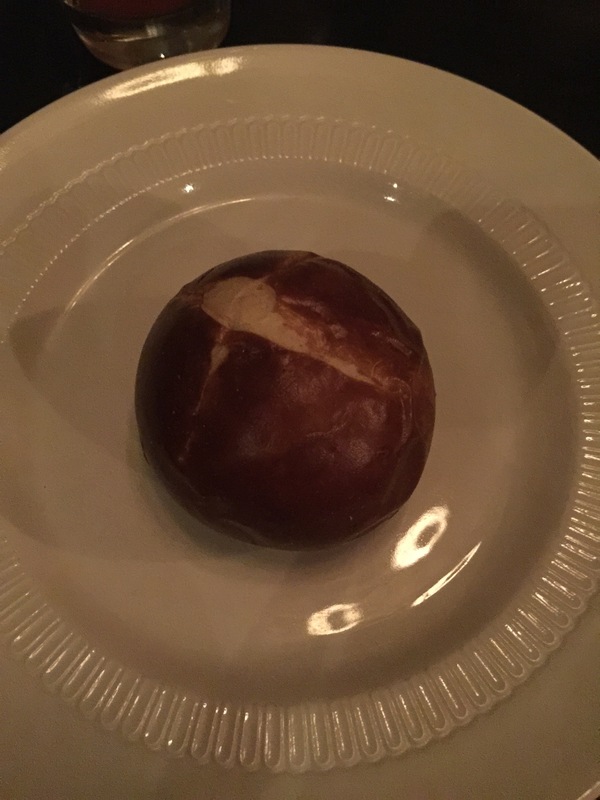 The foie gras gnocchis were one of my must haves (I couldn’t see that on the menu and not have it), and were amazing as well, the foie kind of oozing out as you cut in. This was my highlight. 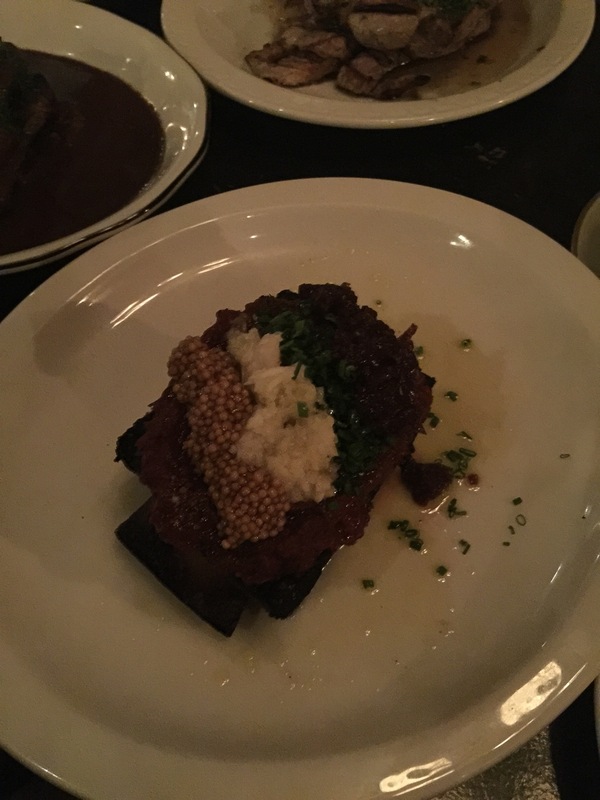 We also did the blood sausage and mashed potatoes which were both grabbed off the plates before I could photograph them. (You can sneakily find blood sausage in the background of some other photos). Best blood sausage I’ve ever had, I think. And best mashed potatoes I’ve ever had, I am certain. Delicious and delicious. 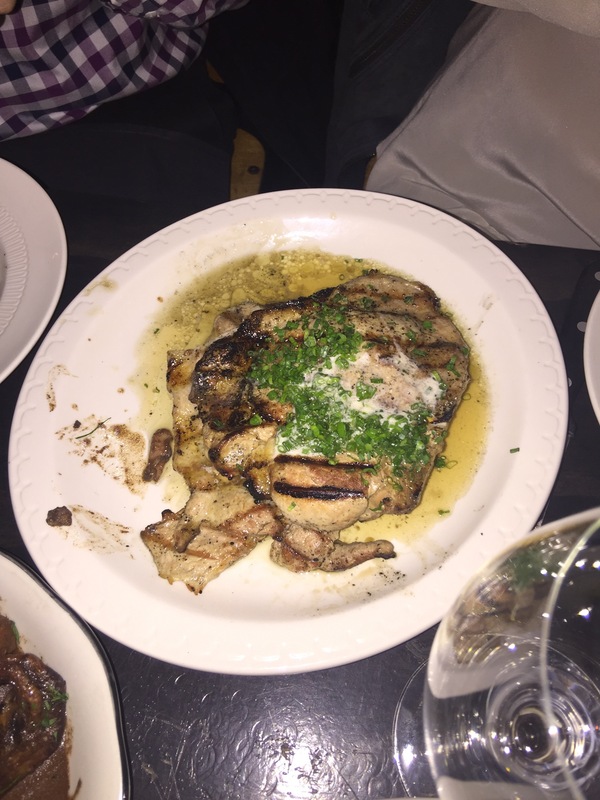 I even enjoyed the pork which I usually am not a huge fan of. 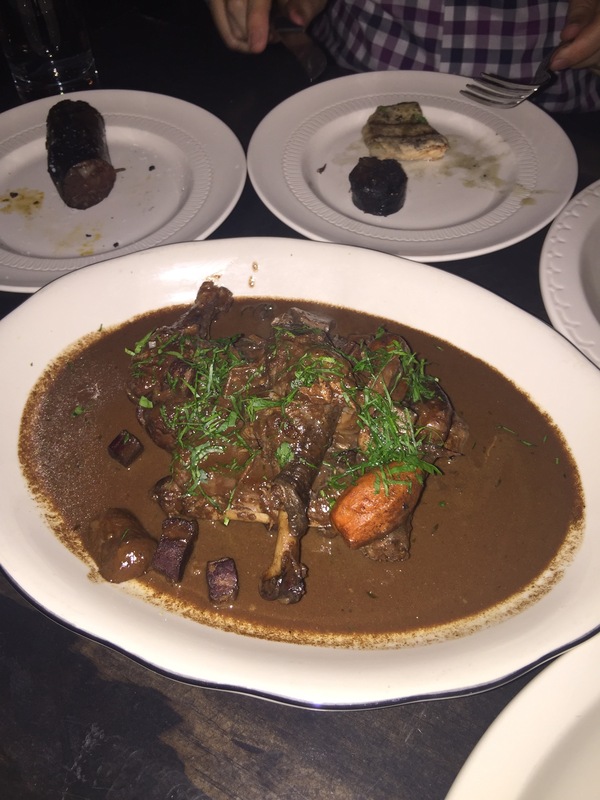 The chef sent out a complimentary coq au vin – a special for the night – which was absolutely perfect as well. 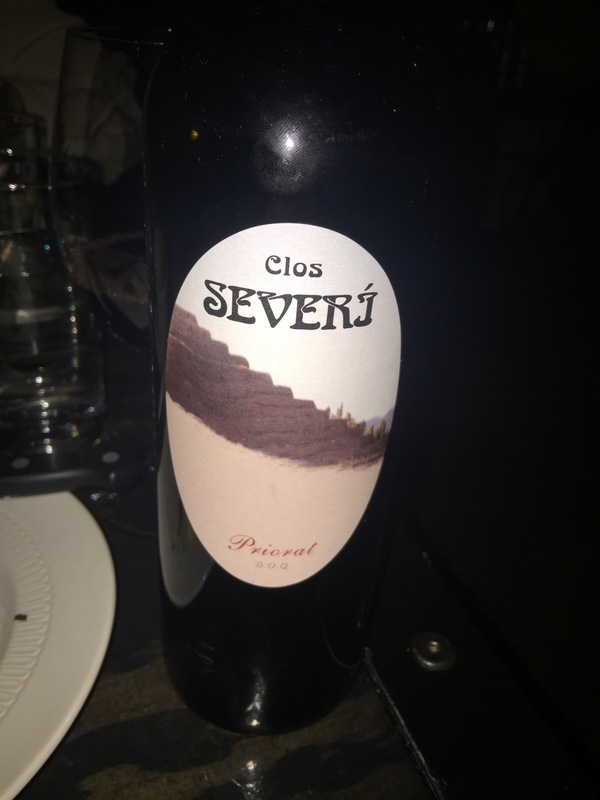 We switched to a bottle of wine during our meal, selected by the sommolier. Reasonable price point and very tasty. Last, but certainly not least: dessert. And let me tell you, that dessert cart is glorious. 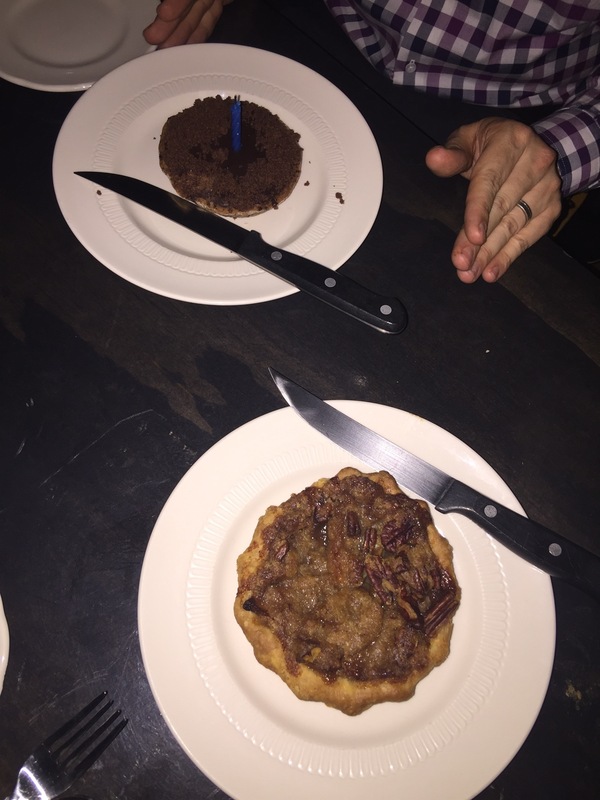 We went with a chocolate whiskey and caramel tart and an apple pecan tart: both ranking among my all time favorite desserts. If I had to choose, I think the chocolate whiskey caramel would win… The way the caramel mushed out the sides as you pushed in your fork…. Mmmmm. Justin and his friends’ familiarity with the restaurant and their staff may have biased my opinion, but I loved the meal. In fact, writing about it now is making me ravenously hungry all over again. 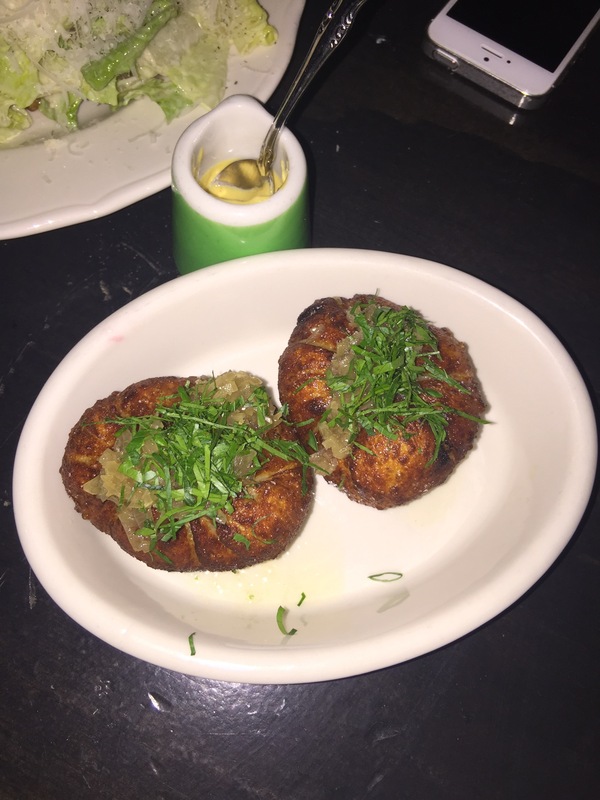 Service was excellent and the quality of the food was great, offering some quirky spins on traditional dishes. I loved the whole experience and give M. Wells a four star Baconboozer rating; well done!